Discussion in '2nd Gen. Tacomas (2005-2015)' started by soljah111, Oct 23, 2010. OME makes great kits, and at a great price for the quality. Welcome to TW. 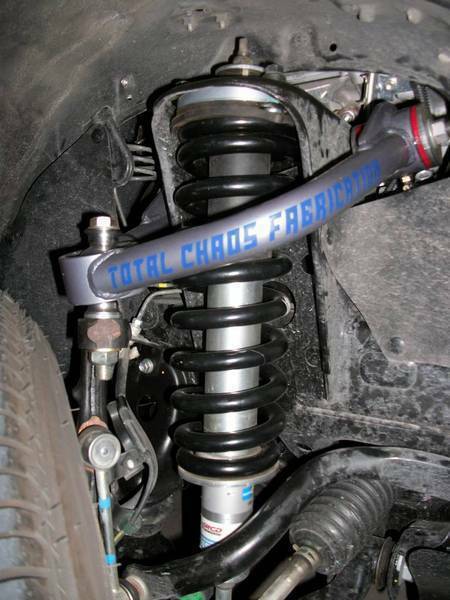 Check out Bilstein 5100's shocks or OME shocks and springs if you are on a budget. If you prefer some adjustability, check out the Toytec Ultimate Lift Kit. There are plenty of other options too, check out the suspension sub-forum. tons of info in there. I just installed 5100's @ 1.75 setting (2 inch lift) and getting tsb leaf springs for the back. Not the height you want but it rides sweet. I just got off a jeep trail and had front/back wheels off the ground multiple times and truck handled like a champ. I would go with the OME set up, Its what I have and I couldn't be happier with it. I want to get the best deal but at the same time don't want to regret my decision. I read that a lot of people wish they would've done their lift a certain way the first time. different from the pro comp 3" lift http://www.truckaddons.com/Catalog/subpages/pro_comp_liftkits_toyota3.htm which is better? ^you're going to get better quality from the OME, which is why it's 300 bucks more lol. People don't generally go procomp unless they're lifting 6 inches bc it's one of the few companies that offer that size lift.